Aldersgate is the international education arm of Aldersgate College, Inc., a non-stock, non-profit corporation registered in the Philippines. Aldersgate was founded as a Junior College in 1965 by pioneering Methodist lay leaders led by Mrs. Pilar D. Galima and Mr. Froilan B. Calata, under the jurisdiction of the Northern Philippines Annual Conference of The United Methodist Church, Inc. It was incorporated in 1970 while starting to send out its first batch of graduates. The school was named Aldersgate, after the street in London where John Wesley, the founder of Methodism, felt his heart strangely warmed, and realized that, Salvation, which he believed can be attained through Wisdom and Piety, can be finally achieved by the Grace of God. The experience at Aldersgate Street was the inspiration of this College, that whosoever passes through its portals comes out transformed: morally upright and spiritually awakened – a brave and sagacious leader, with an enlightened mind, a compassionate heart, and able and ready hands. 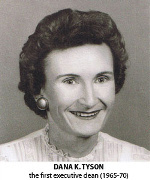 In its early and most critical years, the faith and dedication of the following administrators merit special mention: Dana K. Tyson, the first Executive Dean (1965-70); Bishop Benjamin A. Justo, the first Director (1978-80); and Rev. Thelma L. Case, Officer- in-Charge and Trustee. Today, Aldersgate operates the Graduate Schools of Management, Education and Divinity. It also operates undergraduate programs under the School of Business and Accountancy (SBA), School of Informatics (SI), School of Hospitality Management (SHM), School of Criminology (SC), College of Engineering and Technology (CET), School of Medical Sciences (SMS), and the College of Arts, Sciences and Education (CASE). It likewise operates three (3) Basic Education Programs under the Pre-School (PS), Elementary School (ES), and the Science High School (SHS).